Cee's Wonderland: My Very Own CosCard! I was browsing the web for cosplay blogs when I stumbled upon this interesting practice in most conventions, the exchange of COSCARDS. COSCARDS are cosplayers' "business cards" with their CURE Number, e-mail address, website, facebook account and so on that are given to other cosplayers and photographers in a cosplay event. It is customary in Japan to exchange business cards after meeting a person for the first time. So these coscards are the business card's equivalent in the cosplay world. Read all about the Japanese business card etiquette here. 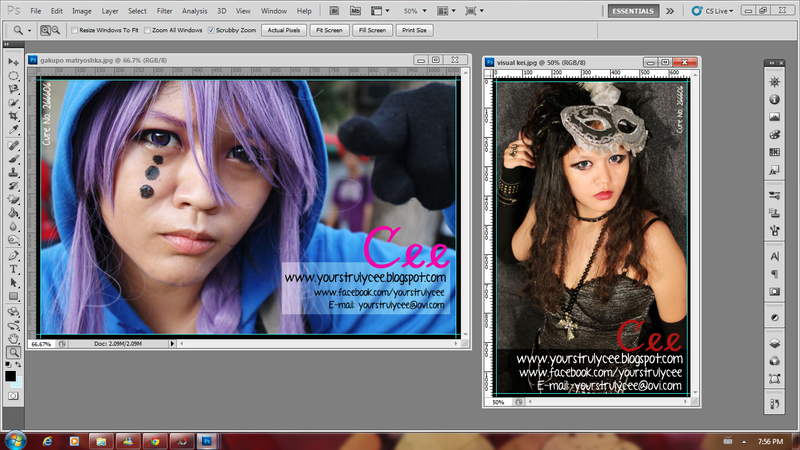 The making of my coscards. I included in my coscard my name. blog URL, facebook page, e-mail address and my cure number. I followed SG Cafe's tutorial on making the cards. It was very helpful in a way that it also included a template to help you in printing out the coscards when you are done making it. 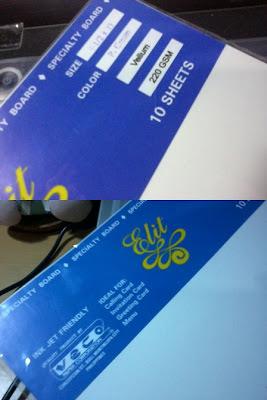 I used specialty board size 8.5 by 13 in 220 GSM for the print outs. It turned out pretty nicely. The color is cream but it looks almost white. My printed-out coscards with the album. I bought a business cards album to keep the coscards. Thank goodies it fitted perfectly. 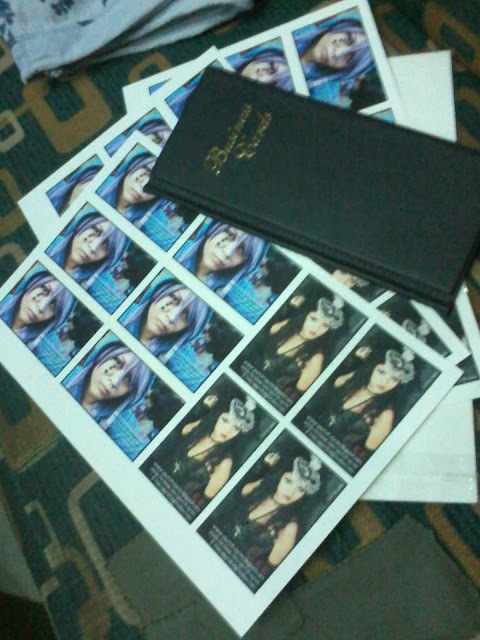 My coscards with the photo of my visual kei style. 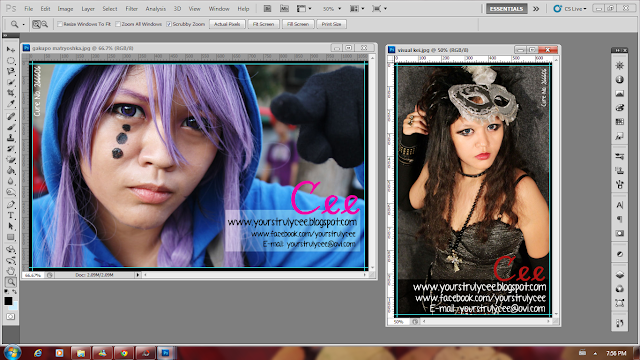 Coscards with the photo of my Gakupo Matryoshka cosplay. Cool. Pwede na for publish. Lol. yeaah! It's been a while since the last cosplay convention here in Zamboanga. I want to meet new people too especially bloggers who are intersted in my hobby.